These FAQs are drawn from the share offer document which is Canalside Community Food Share offer document or on request to the farm. We recommend that you read this document if you are considering investing in Canalside by buying investment shares in the land. Do I have to live locally to invest in the farm? Can I still get my vegetable share even if I don’t invest in the farm? Can I invest in the farm if I don’t have a vegetable share? What is the difference between a vegetable share and an investment share? Can I have a vegetable share and an investment share? Can I get my money out again? Can I buy shares as a gift and how do I fill out the form? Will I get interest on my investment? Can I resell my investment to someone else? What happens if Canalside goes bust? Can the land ever be sold again and how? Can I come to the farm for a walk even if I am not a member but have invested? Do I get free veg? No. Membership is open to all individuals over 16 years of age although in the event that we are oversubscribed we will give priority to investment applications from the local community. We also welcome joint applications and appropriate corporate investment. Yes. 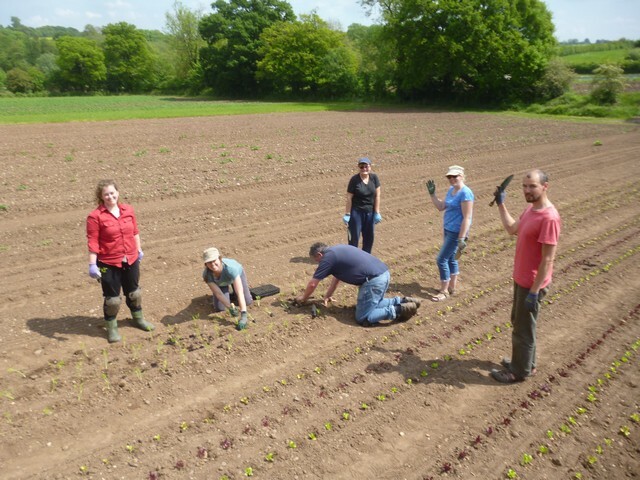 Vegetable (produce) share members who don’t choose to invest will continue to be members of the Society and we will continue to recruit produce share members when places are available. Yes. The share offer is open to all individuals over 16 years of age (see above). An investment share is a one off payment for withdrawable shares that will enable us to meet the capital costs of buying the land. This opportunity is only available for a limited time (to the 29th June). Vegetable or produce shares are a share of the harvest (fruit and veg) collected weekly on payment of a monthly subscription and are available on an ongoing basis. Yes (see above for the difference). Investment share members may also choose to pay a monthly subscription to receive a weekly selection of fruit and veg but need not do so (in which case they won’t receive weekly fruit and veg). Investment members may also choose to pay an annual membership subscription to help support the administrative costs of running the Society but need not do so. Withdrawal of shares will depend on the ability of the Society to pay and limits may be imposed by members at the annual general meeting (AGM). See the share offer document for more details. Yes. You need to indicate the gift recipient on the application and we will contact you to deal with the payments. We will need to confirm with the recipient that they have been bought a gift subscription and are willing to become members of the Society. If they indicate that they do not want to become a member of the Society your money will be returned to you. Yes. Interest will be paid on investment shares. Our business plan anticipates payment of interest at 2% per annum paid as shares which may be withdrawn subject to Society rules but this depends on the ability of the Society to pay as decided by members at our AGM. See the share offer document for more details. This depends on whether you have nominated a person to receive the shares and they want to join the Society (subject to directors approval). If the nominated person declines to join the Society the money will be withdrawn and returned to your estate. If the amount held is more that £5000 we will be legally obliged to return the money to your estate to go through probate in the normal manner. You may nominate Canalside as a beneficiary in you will so that your shares are returned to the Society if you wish. No. It can only be sold back to (or withdrawn from) the Society. This means that the Society cannot come under the control of people who are not members and that the Society will gradually come to own the land as an asset and hence safeguard it for the future. This is not likely to happen and it has been judged to be a low risk in the business plan because the current business is sound, trading profitably, is not anticipating taking on any debts running its business on a cash basis accountable to members. In the worst case scenario if the Society went bust owing huge debts the land would be sold to pay the debts (among them the shareholders). The land is unlikely to be sold unless the Society goes bankrupt owing huge debts (judged a very low likelihood in the business plan (see above)). In order to sell the land in other circumstances the Society rules would have to be changed and this requires more than 75% of the members to agree to this at an AGM or EGM. It is also likely the land will have a covenant on it requiring it to be used for community food production when it is purchased. Yes, you will be more than welcome. No. As an investment member you would need to take out a monthly subscription to get a weekly share of vegetables and fruit (see above). More details and other FAQS pertinent to the investment offer are available in the share offer document and in our business plan.